The Saturday team recorded their first win since the opening day of the season, returning from Rockland Utd with all three points after a hard fought 2-1 win. Late goals from Olly Smith and Captain James Rice secured the win in a game they deserved to win. The Sunday First team also returned to winning ways with a 3-2 home win over Barracks, which lifts them a couple of places in the table. With the score 2-2 entering the final minutes, substitute Nathan Cotton grabbed the winner late on with a well place finish from just inside the box. The Reserves put in a better perfomance at Hempnall but were unable to return with any points, and were eventually beaten 3-0. The Veterans were in County Cup action against East Harling and were narrowly knocked out of the competition after losing 2-1. The U16s had more success in their John Savage County Cup match as they travelled to Fakenham. They progressed to the next round after an emphatic 10-0 victory, with the highlight being forward Barry Delf netting 4 goals. The U14s were involved in the only game in the NCYFL U14 Premiership, as they entertained Horsford. In an entertaining high scoring affair, the visitors took the points with a 6-3 victory. The Hethersett goalscorers were Adam Abu-Elmagd, Max Desira & George Grice. The U13s were also involved in a high scoring game, as they were beaten 12-4 at Harling Colts. Oscar Laws and Connor Taylor both grabbed braces for Hethersett. The U11 Tigers were in action at Old Catton, and put in a really good performance, whilst the Lions visited Silver Road. Both U10 teams were also in action in two competitive hard fought games against Bulldogs. It was a limited programme of fixtures for our sides this weekend, with no youth programme mainly due to the half term break. There was no match on Saturday for our First Team as unfortunately they were unable to raise against Longham. However both Sunday sides were in action, with the Reserves in the Sunday Junior Cup. The First Team were well beaten by Marlborough at home 6-2. Injuries and unavailability meant the team had a depleted squad, as the visitors notched three quick goals inside 10 minutes. Hethersett eventually grew into the game but were unable to force a comeback. Matt Butcher scoring both Hethersett goals. The Reserves welcomed newly formed side Cherry Tree in an all Norwich Sunday League County Cup tie. The sides could not be separated after extra time, so penalties decided the outcome. It was the visitors who progressed to the next round with a 4-3 victory on penalties. The Veterans match away at Harts Veterans was also postponed this weekend. The Saturday Teams’ poor run of form continues after being beaten 3-1 at Shipdham. In windy conditions, Hethersett had the better of the first half with the wind behind them but could only go into the break on level terms. Goalkeeper Richard Manington scored Hethersett’s goal from a drop kick. Hethersett struggled to create any meaningful chances in the second half, and the home team used the wind to their advantage and took the three points. The Sunday First Team were in Norfolk Sunday Senior Cup action, and visited premier division side Poringland. Hethersett found themselves 1-0 down at half time, but managed to turn the tie around in the second half. Goals from Patrick Ogilvie and Adam Waters saw Hethersett through to the next round with a 2-1 win. The U16s were involved in a high scoring encounter at home to table topping Taverham. The sides went into the break level at 2-1, and the second half saw a further 7 goals, with Taverham taking the win 6-5. The highlight for Hethersett was a hat-trick for Mark Attfield. The U14s suffered a heavy 9-1 defeat at the hands of Wymondham town Utd. Ben Scott grabbed the goal for Hethersett in the second half. The U13s also had a difficult game as they hosted Mattishall. The away side took the three points with a 7-1 win. Hethersett’s goal scorer was Connor Taylor. The U12s were involved in a 12 goal match at home to Thorpe Rovers. The visitors led 4-0 at half time, but Hethersett will take heart from their second half display, drawing this period 4-4, leaving the final score 8-4 to Thorpe. In the Christian League, our U11s were both in action. The Lions visited Brooke, while the Tigers hosted Sprowston. The U10s were both away from home. The Sparkes travelled to Brandon, while the Flames went to Thetford to face Bulldogs. The U8s were both in Kappa Cup action, sporting new kits courtesy of Norfolk Football. The Force hosted Mulbarton while the Foxes visited Mattishall. The Saturday Team welcomed UEA’s third team to the Memorial, and the students took all three points after a 2-0 win. The UEA number 10 scored both goals from long range, giving Hethersett goalkeeper Richard Manington little chance. Hethersett continued to battle but were unable to create many clear cut chances against a strong outfit. The Sunday First team travelled to Vale Longo with disappointingly a bare 11 players and no recognised goalkeeper. After conceding from a corner early on, a fine Adam Waters strike meant the teams went into the break all square. Vale Longo eventually nicked a winner in the second half, making the final score 2-1 to the home side. It was a break from league action this week for our U14s and U12s, who took part in their respective County Cup competitions. The U14s welcomed Sheringham in the Stuart Dracup Cup, and were desperately unlucky not to progress to the next round after a cruel defeat on penalties. With the score 2-2 after 90 minutes and extra time, Sheringham eventually progressed with a 3-0 victory in the shootout. George Grice grabbed both Hethersett goals. The U12s took part in the all new Norfolk U12s Cup, and hosted Harling Colts. The away side went through to round two, with a 4-1 win. The U16s took part in the only game in the Premiership, as they travelled to Blofield. It was a tight game all the way until the end, as Hethersett narrowly lost out on the points as it finished 4-3 to the hosts. 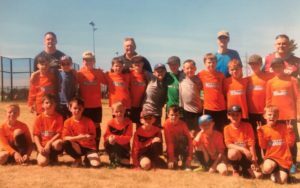 Our U10s can be pleased with their performances on Sunday, and will take away lots of positives for their future matches. Keep it up! The U8s were also in action on Saturday, as the Force welcomed Wymondham Utd Youth and the Foxes travelled to Tasburgh. The Saturday Team bowed out of the Norfolk Junior Cup at the first hurdle as they hosted higher raked opponents Long Statton Reserves. Hethersett found it difficult in the early stages as the visitors started the game quickly, and they went 2-0 up within the first 20 minutes. Hethersett managed to contain Long Stratton for the remainder of the first half, but their long throw in was always a dangerous weapon. The second half was a much more even contest as Hethersett grew into the game, and a times forced the away side into making errors. A couple of second half chances were created as Sam Hanner and young debutant Will Bussey went close, but couldn’t find a way back into the game. Full time Hethersett 0-2 Long Stratton Res. On Sunday, the First Team will have been disappointed with their performance, going down 3-0 at home to a well organised Brooke Reserves side. Trailing 2-0 at the break, Hethersett never really got going in this game, and created little in the way of clear cut chances. The Reserves did not fare much better as they were well beaten 12-3 by a strong Silver Fox side. The Hethersett goals were scored by Daniel Payne, Ben & Jamie Wright. The Veterans began their campaign with a win, as they comprehensively beat Micawbers Tavern 5-0 at home. The will be hoping to build on this performance for the rest of the season. The U16s travelled to St Andrews, and were narrowly beaten 3-2. Mark Attfield grabbed a brace for Hethersett in this encounter. The U14s had a difficult morning against a good Norman Wanderers outfit, and went down to an 8-1 defeat. Hethersett found themselves with a lot to do with the scoreline 4-0 at half time, Ben Johnson found the net for Hethersett in the second half. The U12s fared better, and took all three points after a tight 4-3 win at home to Horsford. They will be pleased with the result and performance, with the goals being shared between Johnny Henri, Jamie Rich, Freddy Smith and James Wright. Both U11s started their Christian League seasons, the Lions faced Old Catton and the Tigers played Lowestoft. Our U10s also had fixtures, with the Flames coming up against Tasburgh and the Sparkes took on Mulbarton. Both U8 matches were a great advert for development football, with all involved a credit to the game in two well contested matches. The Foxes faced Stoke Utd Youth and the Force travelled to Brandon. Earlier this month, the Club took both U10 teams to the 3rd Littlelifts Cup, a charity tournament set up in support of breast cancer. It was a successful competition for the Clubs’ youngsters as they returned as the U10 age group winners! Both teams put on a great show, with some really pleasing performances against some strong teams from both Norfolk and Suffolk. Manager Mike Kenny was particularly pleased with the defensive work that helped the team reach the final and go onto win the competition. 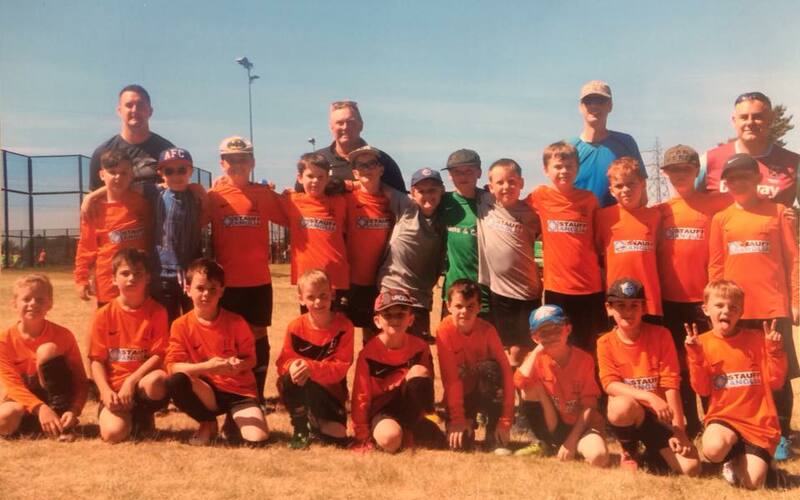 The event was publicised on the EDP, and the relevant article with further information about the day, including a team photo of our U10s can be found here. Special thanks must go to Stoke Utd Youth, for inviting us to take part! The Saturday Team travelled to Watton Res hoping to build on their win last weekend. They returned with a point after a battling 1-1 draw. Hethersett took the lead in the first half through Oli Hudson-Church, who went back to his more familiar role on the left wing. Watton equalised late in the second half with a fine strike from the edge of the box. Hethersett hit the woodwork twice during the course of the game, while Watton had an effort that was ruled to be not over the line. On Sunday, no action for the First Team but the Reserves started their season with a victory, overcoming Norman Wanderers A 2-1. All the action happened in the last 10 minutes, with the three goals happening in quick succession. The U16’s went down to a 4-2 defeat as they travelled to Dereham Saints. Trailing 2-1 at half time, Hethersett didn’t quite have enough to get on terms. Ethan Lane and Jay Thompson scored the goals for Hethersett. The U13s had a tough morning as they travelled to Diss, with the final score being 6-1 to the home side. Hethersett’s goal came courtesy of Connor Taylor. Our U13s were also in action as they visited Drayton, and went down to an 8-2 defeat. Dylan Crawley and James Wright were Hethersett’s goalscorers. Meanwhile, both our U10s had fixtures with the Flames and Sparkes hosting Mulbarton and Lakenheath respectively. Our two U8s also had games, the Force travelled to Attleborough and the Foxes faced Wymondham. The 2018-19 season began for two of our adult sides this weekend and it was a successful start with both taking opening day victories. The Saturday Team entertained newly promoted Castle Acre Swifts Res, who came up from Div 2 after finishing 3rd last season. In a tight match, Hethersett trailed 1-0 at the break after failing to deal with a long free kick which was neatly finished by the Castle Acre striker. Hethersett created a number of chances but were unable to find a break through, until the final 10 minutes. Andy Smith equalised after picking the ball up on the right hand side and firing low past the keeper. With time ticking away, debutantes Nathan Cotton and Sam Hanner combined to score the winner. Cotton picked up the ball on the left and delivered an in-swinging cross which was met by a deft touch by Hanner into the corner of the net. Final score Hethersett 2 – 1 Castle Acre Res. The East Anglian derby and Sundown limited Sunday’s player selection but this opened the door for some U19 players from last season and they took their chance with both hands. On a hot morning HAFC settled well into the game and a great through ball from Ross Luther-Veitch found Sam Hanner who struck it first time from just outside the box to give HAFC the lead. He doubled the lead when good work from Oli Hudson-Church found Hanner to score his second from close range. With on a couple of minutes to go Norman Wanderers scored from a good set piece corner. This spurred HAFC on again to score a 3rd before halftime when they broke and found Nathan Cotton to score in the far corner. HT 3-1. Second half allowed HAFC to continue to play some good football and Sam Hanner rightfully completes his ha-trick with a close range header and then score a fourth when he broke through the middle into the box, shrug off the defender and slot past the keeper. Norman Wanderers scored their second when a sliced attempted clearance fell to a Wanderers player to convert from close range. Special mention to Sam Hanner scoring four goals on his Sunday senior team debut, and Andy Colling, also on his debut for a superb display at left back. Earlier this month, our U9s squad travelled to Easton College to represent the Club at the Community Sports Foundation Summer Cup, in partnership with Norwich City FC. With over 2,000 players from over 230 teams involved across all youth age groups, it is considered to be the largest tournament of its kind in the County. The group will no be progressing into the U10 divisions this coming season. Further information on the tournament can be found on the Norwich Community Sports Foundation website here. The Club are continuing to play a pivotal role in supporting the Memorial Playing Field Trust in securing funding and permission to develop the existing pavilion, which is in desperate need of an upgrade! The development will open up new opportunities for both the Football Club and the Community. Voting is open and will run until August 31st 2018. Further details including the full refurbishment plans can be found on the Memorial Playing Field website. A link for this can be found here on our website. Finally, a big thank you must go to Club Committee members Russell Attfield & Ian Fieldhouse who have driven the project forward.